Let’s be honest, no one likes when they are outsmarted in a beer conversation. Whether it’s an idea that someone else knows more about than you do, or the pompous attitude that sometimes goes along with knowledge of craft beers, something really digs deep when it comes to beer. In any case, it would be nice to walk into a liquor store and know just what you’re looking at and looking for. If you’re one of those people who know what tastes good but don’t know why, we’ve got you covered. Read on to learn about the different kinds of beer explained, and what to look for in that golden glass of goodness. Beer can be broken down from the bottom up, stemming from different types of yeast and fermentation processes. There are thousands and thousands of different beers being brewed all the time, so it would be impossible for us to cover everything. That being said, we’ll do our best to give you an excellent foundation of understanding. Every beer falls into one of two categories: lagers and ales. The difference between these two is the kind of yeast that is used while the beer ferments. Lagers are created with yeast that sits at the bottom of the beer while it ferments. Ales posses yeast that rises to the top as it ferments. Most consumers can distinguish between lagers and ales by the look, taste, and smell of the liquid. Ales are typically a little fruitier, while ales are crisper. All of those distinguishing factors come from the fact that the beer was used with a specific type of yeast. Ales ferment at temperatures in the 50 to 70 degree Fahrenheit range, while lagers ferment from around 35 to 50 degrees. Ales ferment quicker because cooler temperatures slow down the fermentation processes in lagers. The cold is good for another reason, though, in that it is conducive for the development of fruity flavors and aromas. You’re going to want to take a sip of a glass and determine whether it’s a lager or an ale. That may be more difficult than you think because there’s actually a quite a bit of overlap between the two groups. There are a few general tips that you can follow when it comes to taste, though. Ales usually have a robust taste with fruity tones and strong, flavorful aromas. Bitter beers tend to be ales as the bitter is typically a byproduct of the fruit. Because of the fruity possibilities, ales tend to be the more complex and interesting beers to drink. 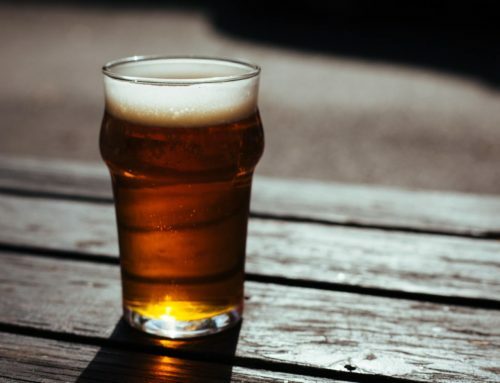 Similarly to the way that they’re brewed, ales are consumed at slightly higher temperatures than lagers, typically being served at around 45 to 55 degrees Fahrenheit. When the yeast that is used in ale ferments, it moves throughout the container, settling at the top. It typically has the capacity for more alcohol and flavor. Lagers are generally a bit lighter than ales, with crispier, carbonated feels. Because they lack the frills of ales, they’re generally very smooth, going down in a way that is soothing for the palette. The taste is balanced and clean – just like you imagine a normal beer to be. Most national favorites around the world are lagers. That’s probably because they’re more standardized and almost universally enjoyable. They are served slightly colder than ales, typically around 35 to 45 degrees. The yeast used in lagers settles at the bottom of the barrel during fermentation, doing so at lower temperatures than ales. Some beers are exposed to wild yeast, which ferments differently than the standard hops brewed in most ales and lagers. Belgium originated this practice, coming out with unique, unusual flavors. Most beers that utilize this fermentation style come out sour and funky, with more abstract tastes. There are clearly a lot of choices in the liquor aisle, making it difficult when you’re trying to decide. Even if you know you like, say, ales, you have to choose between hundreds of options before you grab the case and head to the register. The following information should help you make those pesky choices when you’re faced with a cascade of colorfully packaged, strangely named cases of beer. That being said, it doesn’t hurt to pick randomly and be surprised by the beer you get. We haven’t covered every kind of beer on the market, so don’t shy away from something just because you aren’t familiar with it. There are millions of microbreweries around the world, conjuring up new and exciting ways to craft a beer. While most people know that it means “India Pale Ale,” not many could distinguish the flavor of one. This is probably because the term is just so commonplace that people feel dumb when they can’t explain the specifics of it. The IPA typically comes in very strong, really hoppy, and relatively bitter. In fact, they’re pretty much the most hop-heavy beer on the market. For this reason, they boast some pretty tasty and aromatic flavors. The notes within the hop are unlocked, finding their way to your class and consequently your taste buds. There are two primary schools of IPAs: those from the East Coast and those from the West. Those coming from the West Coast are a little more hop intensive, with flavors of bitter, hoppy, and floral nature. East Coast IPAs are more malt-heavy, coming to the taste buds in a more balanced, rounded out manner. They are still hop-heavy, though, finding their place somewhere between a strong lager and the strongest of West Coast IPAs. Another common version is the Belgian IPA. These are not actually heavily consumed in Belgium; they’re only named that because of the style. The Belgian IPA is similar to the American one but differs in its use of Belgian yeast, which is carbonated within the bottle. This process is essentially the addition of sugar or yeast after the liquid is in the bottle. This IPA is both crisp and hoppy, sometimes being described as a hybrid of European and American style craft beer. Maybe the second most common term thrown around the beer world, behind IPA, is Pilsner. The pilsner is a type of lager originating in the Czech Republic. While most lagers are simple and clean (Coors, Natural Ice, Budweiser), the pilsner throws a wrench in that stereotype. The beer gets its name from the city where it was created during the mid 19th century. The city of Pilsen, a historical brewing center, had began to brew lagers in the late 1830’s. This addition allowed the beer to be stored longer and produced in a clearer way. The city’s main brewery recruited Josef Groll, who used pale malts to create pale lagers. His methods became a sensation, partially due to flavor and partially as a result of another factor. There were economic factors that led to a cheaper production of glasses to drink beer with. These glasses, widely disseminated among the Czech Republic, allowed for a person to sit and stare at whatever they were drinking. With Groll’s newfound light, crisp lager, people regarded the beer in their cups as a thing of wonder. While lagers are certainly the most popular beer around the world, we still aren’t deeply educated on its variety. 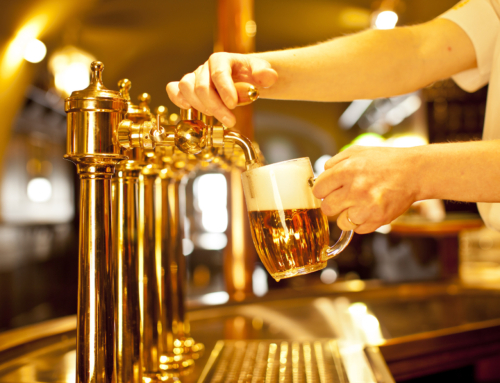 Here are some of the most common forms of lager. These are relatively light beers that are mixed with a corn or rice while they are being brewed. Typically the first beers that we are introduced to in media, American Pale Lagers are going to be your Budweiser, Coors, and Miller. They’re not regarded as being the best tasting, but they are smooth enough to pass for those looking to drink a lot. These are the varieties that beer drinkers have deep in their hearts. 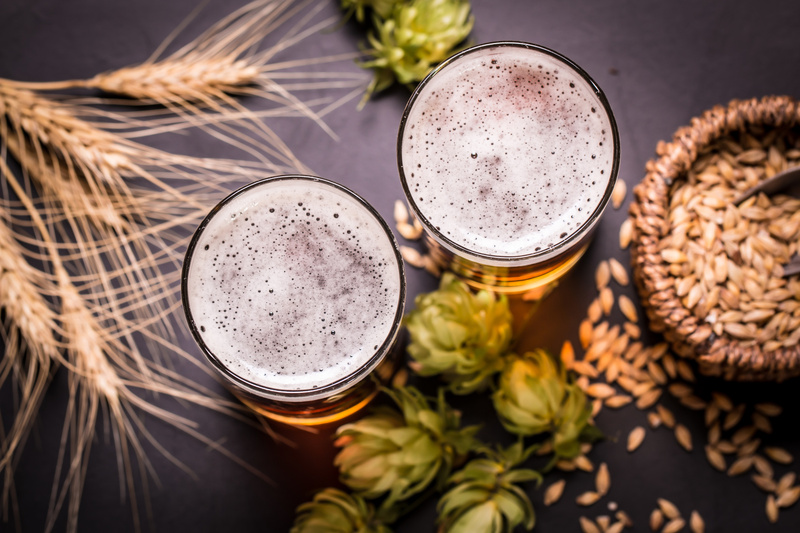 Typically the first beers beyond the basics that a person experiences, they hold full, creative flavors that can introduce newcomers to the world of beer. Often possessing clean, yet flavorful notes, these beers are light enough to go down but dark enough to be a mystery. Bock beers are strong lagers that originate in Germany and possess a number of subcategories that we will cover. They can range from a light hue of brown to a thick and light-absorbing dark. This beverage was originally brewed in Einbeck, Germany, which is actually pronounced “Ine-Bock.” That’s why the beer is called what it is. The original bock is traditionally strong and sweet, light on hops. The head is typically off-white and thick, giving off a malty aroma and a smooth taste. There is limited carbonation, allowing for a thick and rich mouth-feel. Doppelbock may have one of the most interesting backstories of all our entire list. This bear was high in alcohol content and extremely malty. It was created during the 1600s for Franciscan Monks who were unable to eat solid foods during Lent. It served as a sort of “liquid bread,” high in just the things that filled the monks up. This is one of the lagers on the list that actually has a high capacity for a lot of the notes and aromas that ales do, proving the fact that there is a significant amount of overlap between the two types of beer. A porter is a dark beer, originating in London. It’s primarily made from brown malt, which is what gives it its exceptionally dark tone. It gets its name from the fact that it was largely enjoyed by river porters, who carried heavy materials and would enjoy a beer after work. Stouts and porters are similar, holding a number of marked differences. Both names come from the profession of porters, who were called a number of names, typically two words, with “porter” being the second. For example, they were often called “Stout Porters,” depending on the specifications of their job. The most important thing to remember when you’re trying a porter is that it’s likely made with nearly 100 percent malt. It’s a strong taste, sometimes cut with roughly five percent of a different hop depending on the brewer. All porter was entirely malt until a pricing restriction in the 1800s forced brewers to cut the liquor with another grain, finding that the combination could actually be enjoyable. Stouts are another beer roasted in mostly malt and barley, coming in as the strongest of the porters described above. They are usually around eight percent alcohol by volume and are now available in a large array of variations. The most popular version is Guinness. It’s common to think of darker beers as lagers (probably because the name “lager” just conjures up a nice, dark glass of beer), but it is actually a top-fermented ale. The name “stout” was first documented in relation to beer in the late 1600s, using it to describe a beer that was not dark, but strong. Ironically, the term has now become directly associated with dark beer. If you’re looking to get into stout, try Guinness as it is a forgiving beer that you’ll be able to enjoy the whole way through. Some stouts may be too strong for those just entering into the beer world. That was a basic overview of the foundations of beer. As we’ve mentioned, there is a huge amount of culture, history, and information out there just waiting to be discovered. Whether it’s being updated on the latest trends in different kinds of beer or understanding the difference between keg taps, it’s important to know more about your craft. If you’re interested in learning more about beer and brewing, we’ve got everything you need! Do You Know All These Craft Beer Brands?